Four curators weave together different threads of the American tapestry in an important, if uneven, show at the M in St. Paul. The Minnesota Museum of American Art’s newest exhibition, We the People, takes up a commendable mission (one that more museums and exhibitions would do well to emulate): to present a diversity of voices and visions, to re-imagine who it is that belongs as part of the American “we.” Presenting the selections of four guest curators in the Museum’s St. Paul gallery spaces, We the People stands as a rebuttal to the divisive and exclusionary politics of the moment. While the Trump administration and its allies seek to establish policies that threaten the lands of indigenous people; exclude trans Americans from the armed forces; and deport, ban, and bar individuals from various parts of the world from our country, the spirit of We the People is to embrace, not exclude. The curatorial team behind the exhibition reflects this goal of inclusivity and brings together Native American, African American, queer, and Asian American points of view. Three of the four curators come from outside of the Museum, while the fourth, Johnnay Leenay, is a fellow at the institution. With these fresh and diverse perspectives, the Museum aims to respond to our cultural moment in a direct, affirmative way. The show’s premise is strong and arguably quite needed, but the result is somewhat uneven. While there are some very strong works represented in We the People, others seem out of place or read as overly didactic. As one might expect, portraiture predominates here — and there are some incredibly strong portraits included. 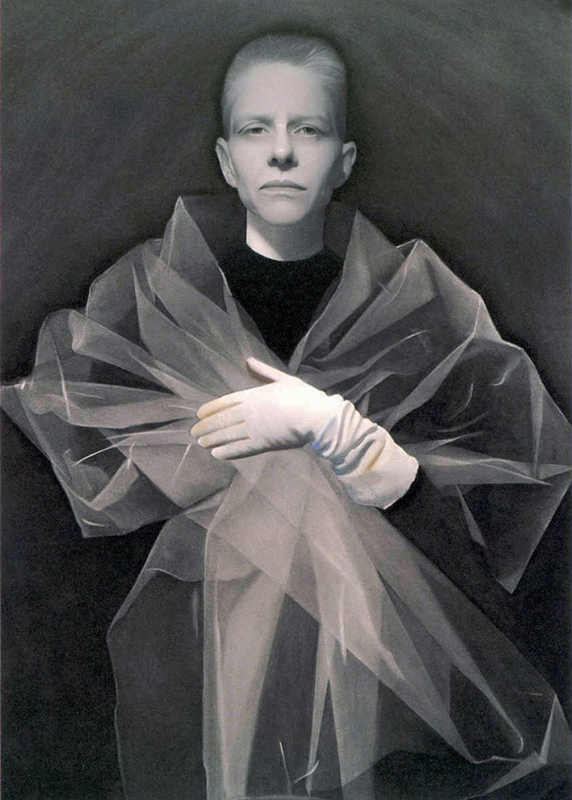 Opening the exhibition, Susan Hauptman’s ghostly charcoal and pastel work, Untitled Self-Portrait (1997), presents an enigmatic figure embodying both masculine and feminine energies. 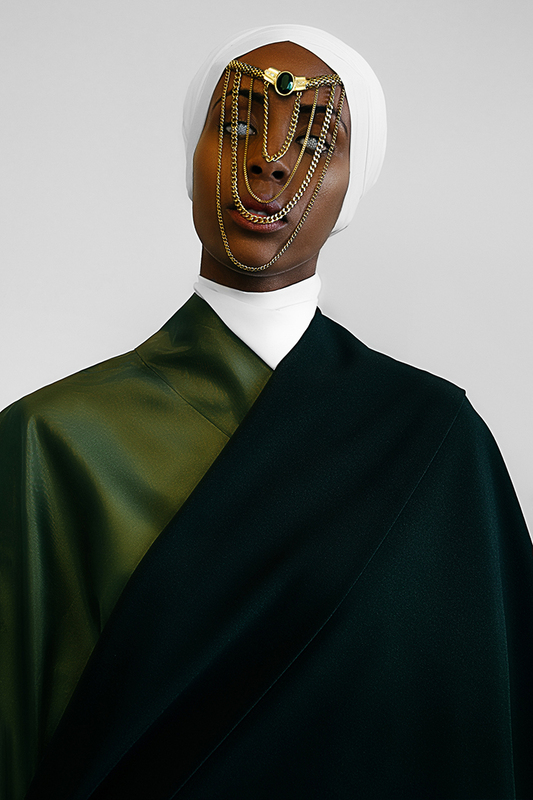 Bobby Rogers’ uncanny Spirit of Eve (2016), the artist’s homage to the Mitochondrial Eve, is both stately and macabre. Across the room, Ria Brodell’s gouache works on paper, part of the series Butch Heroes, speaks to an untold history of gender nonconformity. Her nineteenth century heroes dressed and lived as men, taking on roles denied to women at that point in American history. Steve Ozone’s photograph, Joanna and Alex (2016), reprises the composition of Grant Wood’s iconic American Gothic (1930), depicting a young Minneapolis couple standing barefoot in their Northeast neighborhood garage. While we work to understand their identity based on the objects that surround them, the accompanying text tells us a rather different story — about Joanna’s recent immigration to the US and about our face-value assumptions. Two of the most interesting works present in the show are media-based and leave conventional art forms behind for something more documentary in nature. The short video, Invisible to Invincible: Asian Activism in MN shines the light on current activist efforts by Asian Americans while also alluding to a rich and fascinating history of opposition from that community. 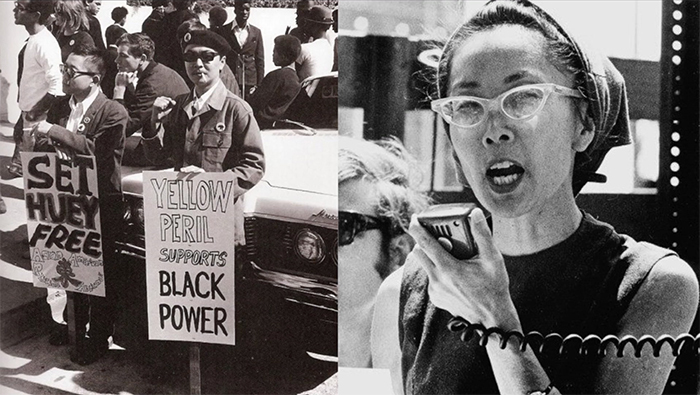 Put together by the organization APIs4BlackLives, the film counters the stereotype of the “model minority” with stories of active resistance — from Wong Kim Ark, a Chinese American man who sued the US government to recognize citizenship of people born in the US to immigrant parents, to current efforts to organize and protest against police brutality in Minnesota. The other work in this vein is an installation of the University of Minnesota’s Transgender Oral History Project. Accessible in the Museum through a wall-mounted touchscreen, the voices and images of transgender people enter into the space in a literal way. Highlighting the existence of these individuals not only in the nation but in Minnesota in particular (rooted at the U, most of the participants have geographic ties to the area), the inclusion of this non-traditional material reflects the show’s absolute commitment to presenting a diverse and inclusive swath. 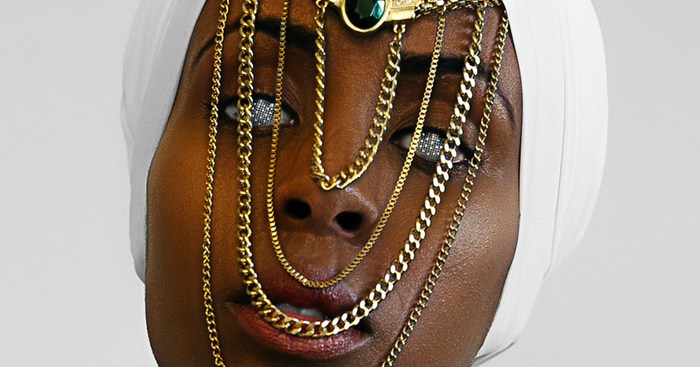 This impulse towards inclusivity is simultaneously the strength of the exhibition and its greatest weakness. The show lacks both aesthetic and conceptual cohesion, instead reading as a mishmash of perspectives, voices, and approaches. For all of the exemplary portraits on view in We the People, there are also works that fall flat or seem misaligned with the exhibition’s basic mission. And in an exhibition that aims to work against the sort of lip service that many contemporary museums pay to the issue of diversity in its galleries, the works that fail to mesh end up recalling the tokenism that is antithetical to the goal of the exhibition. The problem might be tied back into the curatorial approach; it seems as though the various curator’s perspectives never did quite coalesce (an idea that is reinforced by the presence of not one but four individual “curatorial statements” on the walls of the galleries). Nevertheless, the stories and perspectives on view here — both artistic and curatorial — represent a positive effort by the Museum to put their money (and their square footage) where their mouth is: to present, advocate for, and invest in works of art that are reflective of the bountiful, beautiful diversity in our community. We the People runs August 17 – October 29. Open Thursdays & Fridays, 11am - 6pm, and Saturdays & Sundays, 10am - 4pm. Visit mmaa.org for more details.